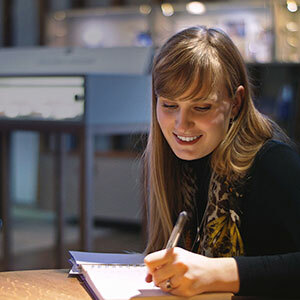 Neil wanted to create a piece of jewellery as a surprise for his wife Helen. Helen loves white metal and to add colour to the design, Neil wanted to incorporate the birthstones of each family member. 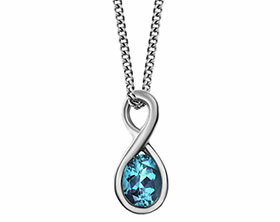 The handmade Sterling silver pendant has been designed so that the metal curls around each of the gemstones. 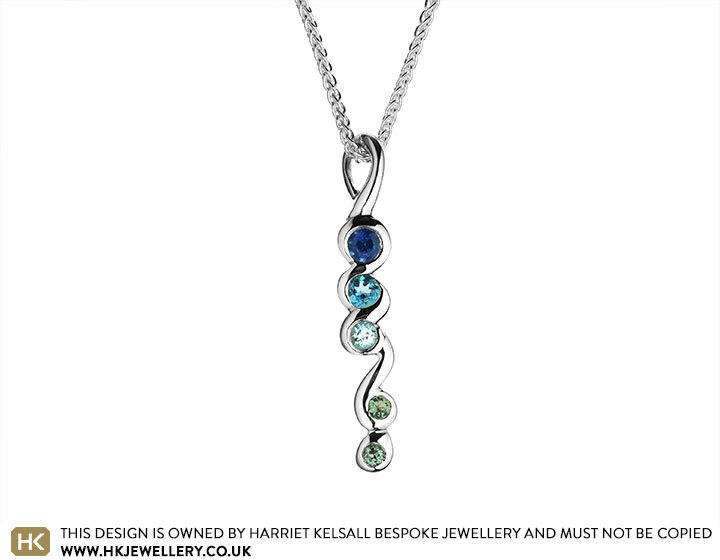 The pendant holds a sapphire and aquamarine to represent Neil and Helen and a peridot, aquamarine and tourmaline to represent their children. 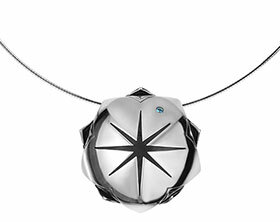 Bespoke palladium, aquamarine and diamond pendant. 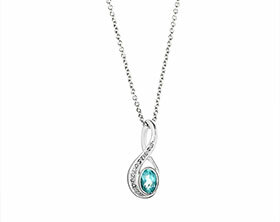 Bespoke silver torque necklet to hang customers own pear shape Aquamarine pendant from.